Sixth grade students at East Union Middle participated in Ag Bio Tech Career Day on October 25th and had the opportunity to rotate among six different speakers sharing their specialized careers. Students in 7th Grade Social Studies are bringing their learning to life with active simulations! Simulations in the social studies classrooms at East Union Middle School provide opportunities for students to act out historical events, human social behavior, and economic principles using game-like play. 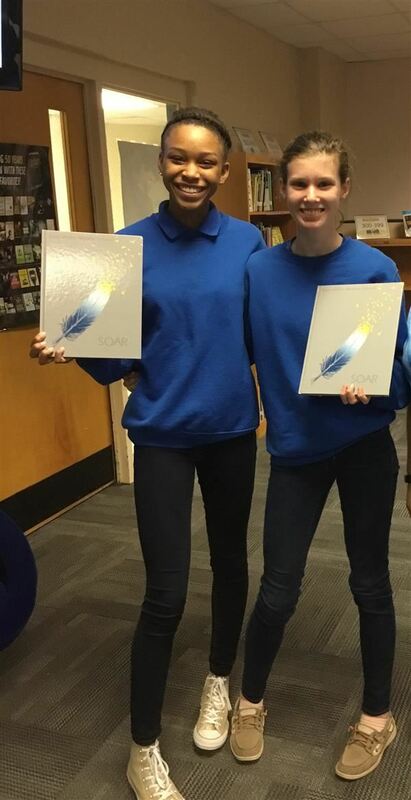 The 2018-2019 yearbook is in the works, and you can reserve yours today for the lowest price of the year! Visit www.yearbookforever.com to order your yearbook for $35.00. The price will go up on December 1st and again on March 1st, so grab that low price while you can! East Union’s Robotics and STEM club competed in the 2nd Annual Career Readiness Middle School STEM Competition on Friday, April 20. They were the Overall Competition Winner! 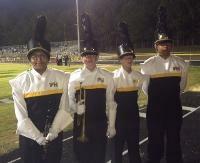 Band students from East Union participated in the UCPS All-County Honor Band last weekend. On January 29th, 2018, presenters from the Women’s Initiative Program at MIT shared their knowledge and personal experiences about STEM with girls at East Union. This year at East Union Middle many people have come forward with generous offerings to help students have a joyous and happy Christmas! 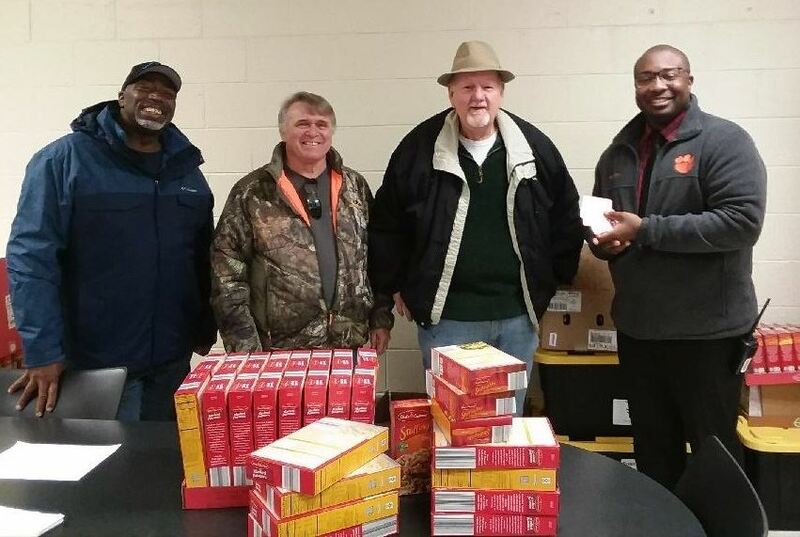 Employees from Charlotte Pipe & Foundry, Plastics Division are a part of Christian Cooking Convoy, a group that works on providing food for the community and people in need. 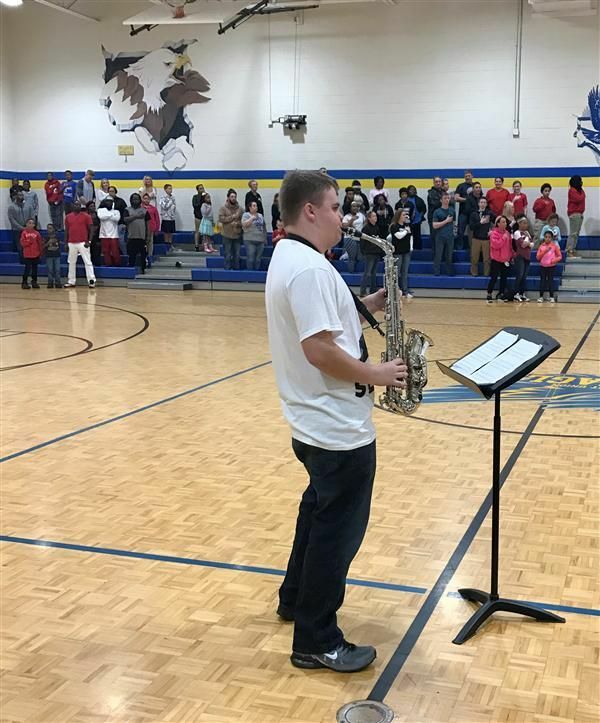 On November 17 2017, East Union had a career day for all grade levels.. There were different stations from different career fields, each with a goal to educate students on the many jobs that are available and popular in Union County. EUMS Band Director, Avery McFadden and Flag Patrol Leader, William Harris performed “Reveille” and “To the Colors” on trumpets Thursday morning, November 16 for NC Representative Mark Brody. Mr. Brody provided a US & NC flag that was flown over the capitol in Raleigh and presented them to Mr. Sanders and the flag patrol to fly for EUMS. 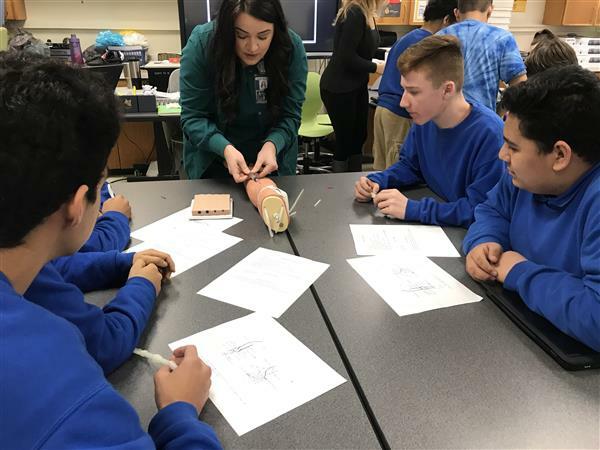 On October 25, 2017, representatives from careers in agriculture and biotech visited 6th graders at EUMS to talk about their careers in hopes to inspire them to consider occupations that most don’t. The companies that were a part of this educational day included Carolina Green Athletic Field Construction, Higher Ground Training Center, BioNetwork NC Community Colleges, Farm Credit Carolina, Monroe Volunteer Fire Department, Novozymes, and NC Cooperative Extension. After recent natural disasters hit the US, East Union students soared into action to help the victims of Hurricanes Harvey and Irma. Students in the agriculture classes at East Union Middle School had the opportunity to turn in a project in order to go on a field trip. East Union Middle's new agriculture program teaches students about the fundamentals of agriculture as well as environmental and natural resources. The program will provide students with the foundation they need if they choose to participate in the popular agriculture program at Forest Hills High. Join us on Thursday, July 27 from 5:00 - 6:00 p.m. in the EUMS auditorium for a meet and greet with our newly appointed EUMS Principal, Mr. Terrance Sanders. Mr. Sanders will share with families some new and exciting changes for the 2017-2018 school year. 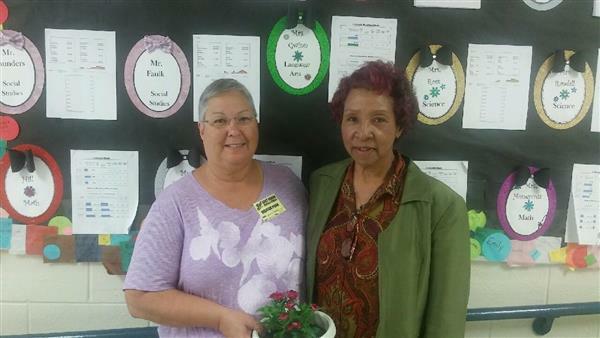 Ms. Janet Propst and Ms. Margaret Bivens first met as nursing students at Anson Tech in Ansonville NC. After graduating together in 1973 both went on their separate pathways in the world of nursing. After forty three years of life experiences and travels, these two wonderful ladies decided to pick this year and the same date to proctor for EUMS. 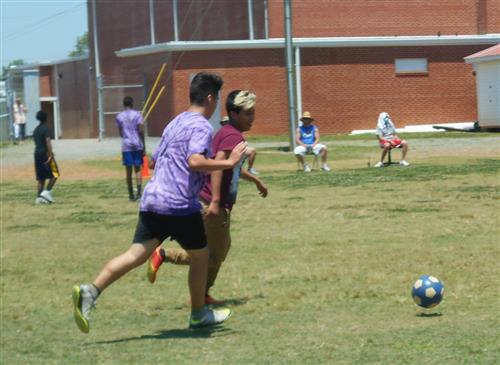 As the 2016-2017 school year comes to an end, the EOG’s are in full effect and the EUMS students have stepped up to the plate by putting their best foot forward. With over 900 students testing over the two week period we rely heavily on our volunteers within the community to help with proctoring during the testing season. Students in Mrs. Williams Math I class studied polynomial functions in February. 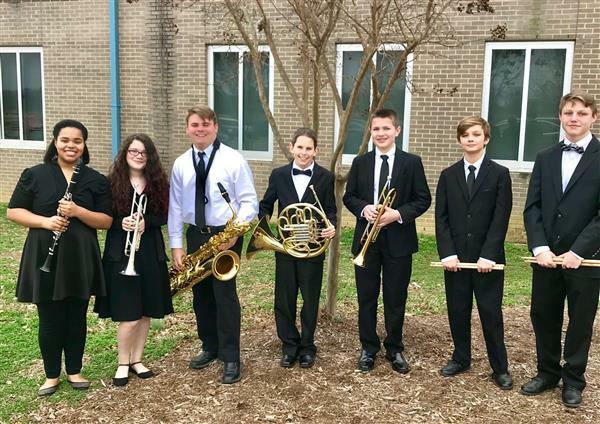 Griffin Moore, Nesi Gonzalez, Trinity Legrand, Alayna Moore, Davon Shine and Samuel David were selected to attend The Union County All-County Band Clinic on February 17th and 18th. On November 29, 2016, EUMS held their annual School Spelling Bee. Students from each grade level were represented. 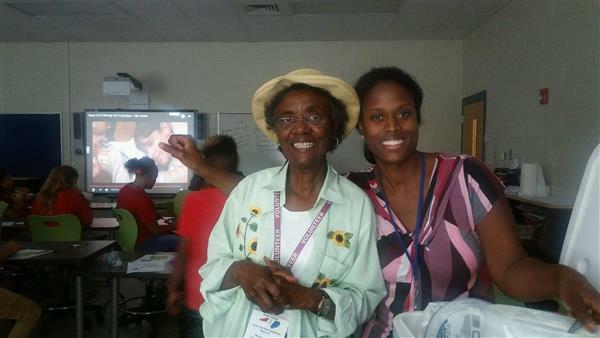 Several family members attended and watched the students compete. After over an hour of competition, and nearly 200 words, we were able to name a winner. The East Union Robotics Team and Mrs. Davis's classes competed in the 2016 Fall STEM Competition on Friday, November 18 at SPCC. Events included Dragster, Catapult, Bridge Building, and Robotics. We would like to welcome Mr. Gilberto Nava to our East Union Family. 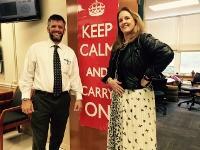 He will be our new Language Facilitator working with our ESL students. East Union 6th graders were treated to the Snakes Alive! program by Ron Cromer on Tuesday, October 18. 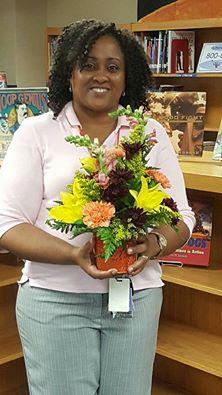 Lisa Anthony was named East Union's Teacher of the Year for 2016-2017. 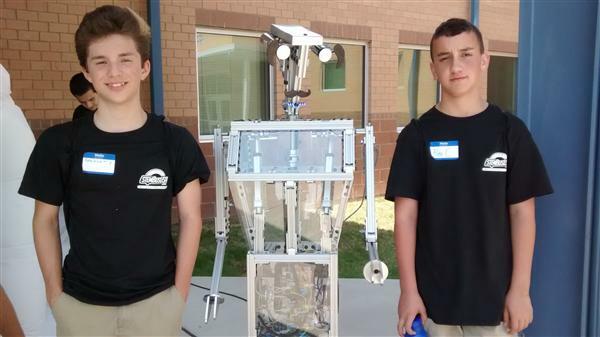 This summer, East Union students Spencer Silsby and Alex Chaney were interns for the STEM bus camp. East Union Middle School’s students participated in a ponytail donation drive for Pantene Beautiful Lengths, a charity campaign created by Pantene in partnership with HairUWear® and the American Cancer Society® that encourages people to grow, cut and donate their healthy hair to create real-hair wigs for women who have lost their hair due to cancer treatment. 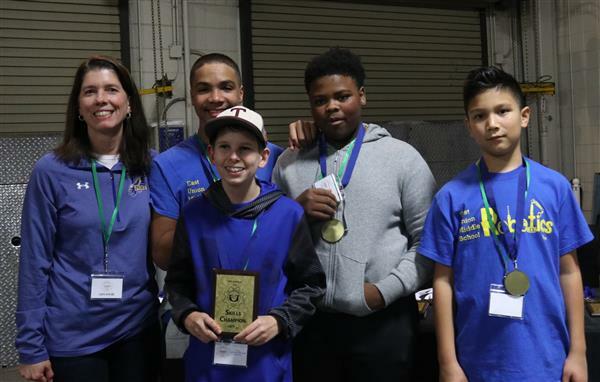 The East Union Robotics Club recently participated in the 2nd Annual Robotics Challenge of Union County. It was held on Saturday, April 16 at South Piedmont Community College's Center for Technology and Health Education. 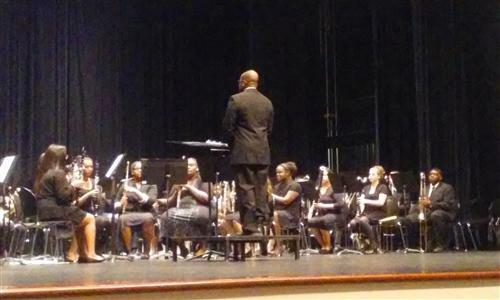 On Wednesday March 9, selected 7th and 8th grade band students performed a concert at The Batte Center on the campus of Wingate University. East Union’s Multi-Cultural Club will be presenting its annual Black History program on Thursday, March 10th at 6:30p.m. in the auditorium. This year’s theme is “Motown”. Performances in Dramatic Interpretation, song, dance, band performances, surprise guests and honorees will be in attendance. 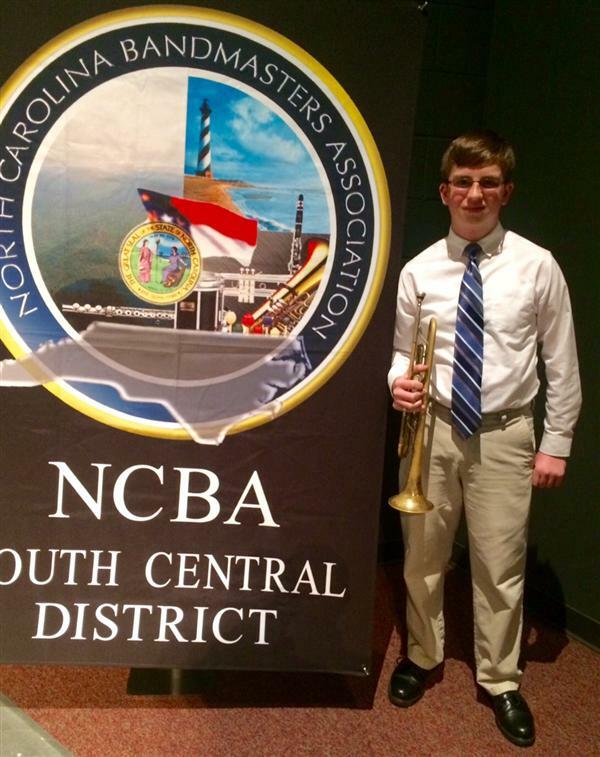 The East Union Band would like to congratulate Trevor Helms for making the All-District Band. Leukemia and lymphoma are forms of blood cancer. East Union Middle raised $3263.20 - penny by penny - for research to develop a cure for blood cancer in the Pennies for Pasta fundraiser, which benefits the Leukemia and Lymphoma Society. 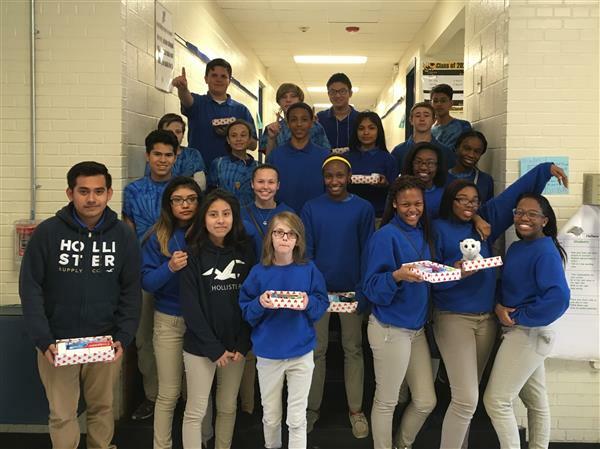 Filled with the spirit of love, Mrs. Williams' Math I class was given a task of making a box out of extra cardboard. 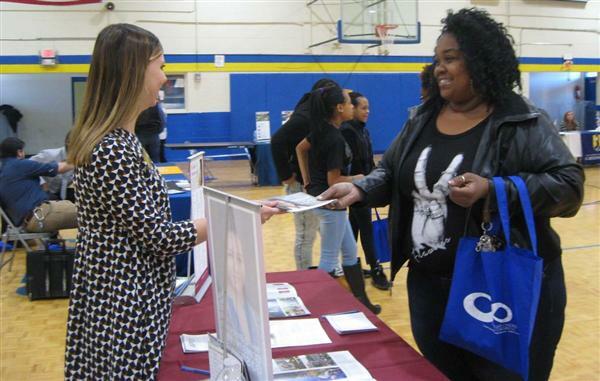 East Union hosted a college fair for students and parents in the community on Saturday, January 30. On Thursday night, December 3, the East Union Middle School chorus sang at the town of Wingate Christmas tree lighting. Strong Words in 6th grade…. 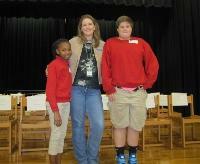 6th grader Jada Barrino is our 2015-16 East Union Spelling Bee Champion, and 6th grader Dylan Phillips is our runner up. For the annual UCPS Education Foundation Principal Shadow Program, East Union's guest was Mr. Jason Stewart, Theatre Director of Wingate University's Batte Center. 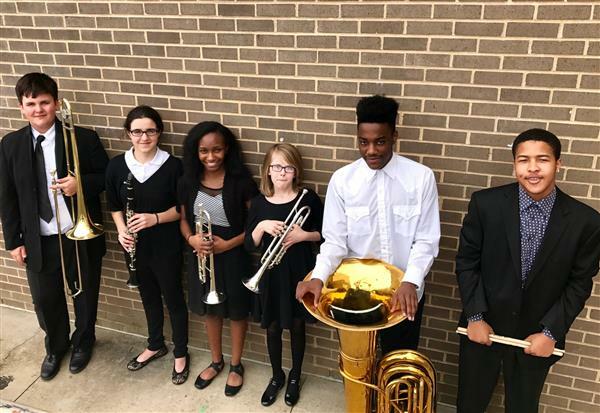 Four 8th grade band students were members of the Forest Hills Jacket Regiment Marching Band this year, and are currently wrapping up the marching season as FHHS enters the playoffs. East Union welcomed local Veterans from all area posts with an impromptu standing ovation as they filed through our auditorium for a special flag raising ceremony today (November 13). On Tuesday, November 10, East Union's broadcast students visited WJZY-TV46, Charlotte's local FOX station. Mrs. Little's class had lunch at the Hilltop on Friday, November 6. Their task was to be able to order correctly, tally their individual bills, and calculate an appropriate tip- all without assistance. There was added ice cream for sweet success! Ron Cromer presented the Snakes Alive! program to East Union's 6th graders on Tuesday, October 20. Faculty vs. Student Volleyball match is a success! n October 5th, the East Union faculty challenged the Varsity Volleyball team to a match. 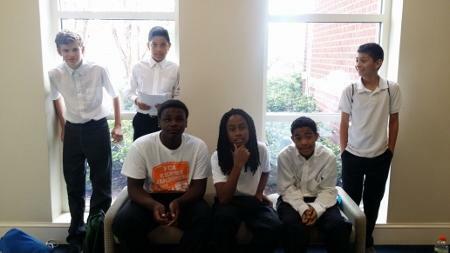 Several boys from East Union had the opportunity to attend a choral event called Real Men Sing at Wingate University this week. They sang with other male singers from around the county. 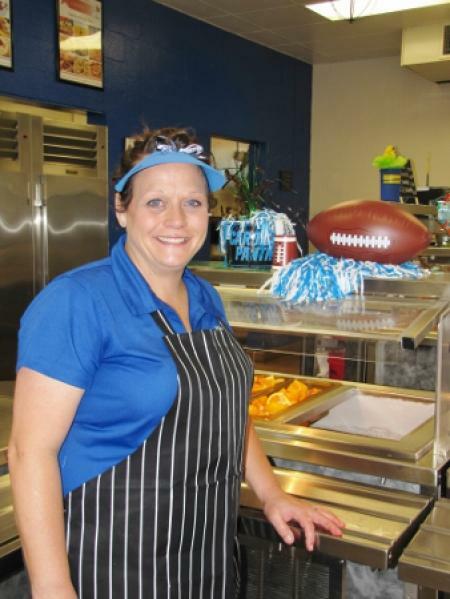 East Union Middle is proud to announce that our Cafeteria Manager, Tara Bryant, has been named Union County Cafeteria Manager of the Year!